Firstly, thank you so much for your assistance planning and booking our trip. You were very helpful and knowledgeable and made the process so easy and calmed my nerves about booking online and not through a local travel agent. 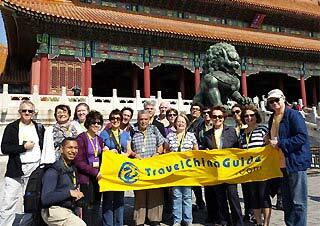 It is also great that you are asking for reviews of our escorted China tour. Overall we had an amazing holiday, better than any of us were expecting. The private trip made it so easy and we loved the flexibility. All our guides spoke very good English and were easy to understand and went out of their way to make sure our needs were met however our guide Celine in Xi'an was a standout, her positive attitude made our days that little bit more enjoyable. All the meals that were included or were recommended by our guides were delicious. We tried lots of different food that we would never usually eat and I can say gladly we did not have a bad meal. I would highly recommend TCG, the booking process was so easy and the trip itself was amazing. 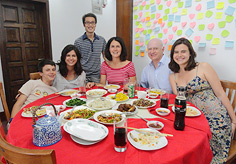 We felt like we saw a broad range of what china has to offer and did it at our own pace which made it very enjoyable. I am extremely satisfied with the service provided by TCG and I would highly recommend your company to any one visiting China. The guides were extremely helpful and wonderful. Drivers, car and meals were all excellent. The hotels were all of high quality; however, I would prefer that you select hotels in the city center which make it easy to wonder in the city at night when there is no activity. This is especially true for the hotels in Beijing and Xian, they were very good hotels but far from the city center. The hotels in Xian and Shanghai are in excellent location. Howard Johnson in Shanghai is excellent for is location and service, don't change it. Some attraction we were rushed, Hutong Alleys, Bird Nest. 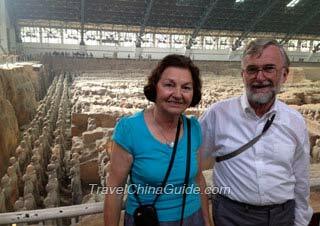 I suggest to allow more time to walk in the Hutong Alleys and get close to the Bird Nest in Beijing. Thanks for wonderful tour. I have taken many photos but I need to process them before I can share them. All arrangements went precisely as promised, with occasional flexibility where we requested. Guides and drivers turned up on time and there were no delays. We compliment all of our Guides, who spoke good English, were well-informed and went out of their way to be helpful. We heard of others whose tours were merged with larger groups, and are grateful that your promise not to do this was fulfilled. Even with hindsight, there are no parts of the trip we would have dropped. For us, the inevitable highlight was the 4-hour boat trip down the Li River through the cone karst. We greatly appreciated being taken to Mutianyu, where there was plenty of space on the Great Wall, after hearing from others who had been crowded at Badaling: also the drive there through the mountains from the Ming Tombs was very pleasant. Likewise we probably would not have booked the three evening shows on our own, but once we got there we greatly enjoyed each. Hotels were excellent except for being well outside the centre in Beijing and Xi'an: food and drink prices were rather high at the Holiday Inn and Days Hotel & Suites. These locations gave guides long days, reaching and leaving them. Being driven by car was convenient, if sometimes rather slow. Given the traffic congestion in cities, which is not going to reduce, you might eventually consider more use of public transport - subways in Beijing and Xi'an - for small groups. Our trip was good value for money. The worst aspect was the nerve-wracking 24-hour uncertainty about payments getting through by PayPal - direct payment by credit or debit card is so much easier. Given our advanced ages, this may have been a one-off visit to China, but we will not hesitate to recommend your services to friends. We are finally back from our trip since Beijing was only our first stop. This was an amazing high quality tour of Beijing. Our guide-Sunny and our driver--Mr. Wong were wonderful. 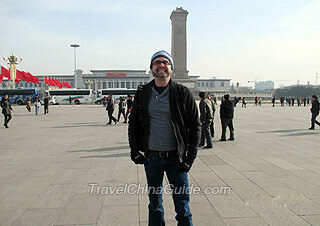 We felt comfortable from the minute we arrived at the Beijing airport. There was the right balance of structure and free time. The Crowne Plaza Hotel was a great choice from the comfortable 5 star room to an excellent breakfast. Sunny was informative, helpful, and professional. She is an asset to Travel China. 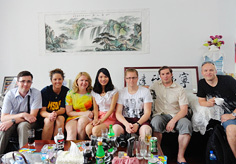 We met others who tried to Beijing on their own and did not have the fantastic experience we had. 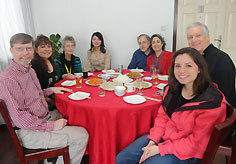 This was a custom 4 days --specifically tailored to our requests and needs including our transfer to Tianjin. What can we say--except Thank you, Thank you Thank you! I apologize for not getting back to you sooner. I am currently in Helsinki, Finland. First, I very much enjoyed my trip with your company. Doreena was superb. She was very knowledgeable - particularly the places we visited. Knowing when a building was built and exactly how many rooms there were in a building showed me that she really knew her subject matter. Everyone back in the US asked about the smog - well, I saw smog only one day, otherwise, it was crystal clear blue skies. I highly recommend anyone from the US that is coming to China for the first time to use your company. The guides, drivers, meals, cars, and everything else was superb. Little details like having the driver have a bottled water ready for me was most helpful and thoughtful. Doreena was patient as I asked for hundreds of photos - and she took some really great photos. The shopping trips were a nice experience as I purchased Christmas presents for family back home. Doreena was exceptional. I can't say enough good things about her guide skills. Your company was superb. I felt like I was in good hands the entire time I was there. I highly recommend your tour company. Thank you for a most memorable experience!